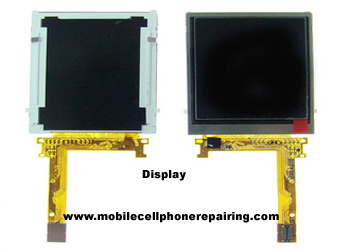 When repairing mobile cell phone, you may often have to Desolder and remove the LCD / Display Screen / PDA of a mobile phone and again solder and replace it with a new LCD / Display Screen / PDA. Soldered to the Mobile Phone PCB. To replace a connector-type LCD Display Screen is very easy. Just disassemble the mobile phone and remove the connector of the display. Replace the faulty screen with a new one by inserting the connector to the PCB. The real task is to replace soldered display screens. It need some practice. Soldering Iron (Hakko and Weller Soldering Irons are Best). Disassemble the mobile phone using precision screwdriver and mobile opening tool. You will see the display soldered to the PCB of the Mobile Phone. Apply flux to the solder joints. Using soldering iron, heat all the solder joints. Be careful while using soldering iron. Using tweezers or hand, gently pull out the display once the solder starts melting. Using Desoldering wire and soldering iron, remove all the extra solder from the PCB Track. Apply flux to the track on the PCB and the New Display. Using soldering iron, apply solder to both the display and the PCB track. Place the display on the PCB and solder each point of the display to the track one by one. Try to solder both the ends first and then solder the middle part. See following videos to learn how to Desolder and remove display of a mobile phone and again solder and replace faulty display with a new one. Please Download the PDF File from this Site. dear sir,my xolo q3000 touch has cracked .where to replace the touch .plz guide me. THIS SITE IS REALLY APPRECIATED. excellent website, thanks to author soooooooooooo much. i m happy 4 this post.